Editors’ note: This column was originally published by SnowOps, an industry publication focused on snow operations, in February 2019. Read the column here. The previous year was graciously snowy. Skiers and snowboarders had flocked to the slopes, breaking Utah’s all-time resort attendance record. This past winter – despite the lackluster snowfall and unseasonably warm weather – Utah’s ski industry steadied attendance with, among other things, enhanced snow management methods. The 2017-18 season ended as the sixth-best season in history for attendance – on par with Utah’s 10-year average, according to Ski Utah, a non-profit dedicated to promoting Utah’s ski industry. “Utah’s resorts stepped up by investing in snowmaking infrastructure and delivering unparalleled experiences for skiers and riders on and off the slopes,” Ski Utah President Nathan Rafferty said in June. In tandem, snowmaking and enhanced snow-depth data are showing resorts across the map that a bad snow season does not have to mean an unprofitable snow season. Data-driven technology for snow management, like snow-depth mapping, is making the difference. Traditionally, resorts measured snow depth by their own traditions. Sometimes resorts updated information by manually recording a snow-reporting stake. Others used stationary snow sensors or recorded snowfall as it piled on a board. The daily snow report represented the snow depth somewhere close to the heavily trafficked base or a solitary mid-mountain spot. One thing is certain: Resorts have tried everything. “We’ve tried a million different things,” Susie Barnett-Bushong, a past marketing director for Grand Targhee resort, once told the L.A. Times. Three or four data points to represent hundreds, sometimes thousands, of acres of snow will not always cut it. Snow-depth mapping systems, which create colored snow-depth maps of mountain runs using thousands of snow-depth measurements, have helped resorts save thousands of dollars every year on snow-making and snow-grooming costs. Resort operations use the data to map assets, find and cut spring roads, and strategize snow-making and snow-grooming priorities. In addition, resort operations use the data to prevent bare spots and maintain even terrain, improving the skier experience. However, resorts should determine what level of snow-measurement accuracy is appropriate for their operation. Costs for snow-depth systems can vary widely from the price of piercing a stake into the ground to more than $100,000 for some snow-depth mapping systems. Those $100,000 systems use GPS-based technology that relies on a summertime lidar scan produced by a plane or drone to capture the topographic details of a mountain. Ultra-high precision GPS receivers attached to groomers – and connected to a mountain-wide server system – then measure the difference from the lidar scan to create snow-depth data. Data from these GPS-based systems is accurate to several centimeters. The snow-depth measurement technology from SnowGage uses ultra-wideband radar, which pulsates through the snow to the ground to measure snow depth. The snow-depth measurements coincide with sub-meter GPS location data. Data from this system is accurate to around 5 inches and costs around $20,000. Some snow-depth measurement systems utilize ground-penetrating radar, a technology paired with GPS location data. This technology can vary in accuracy and cost, though it is pricier than ultra-wideband radar. It is accurate to around 2 inches. Each system has unique shortfalls. The GPS-based technology can struggle in deep canyons and heavy canopy, and it is reliant on a static lidar scan – despite the changing mountain. However, it can measure any depth of snow. Ultra-wideband radar technology is currently limited to measuring no more than 6 feet of snow and can flounder in wet spring snow. The other radar technology, ground penetrating radar, requires constant recalibration. Resorts should take each of these things into account when considering a snow-depth measurement system. Resort operators might ask, “What level of snow-depth accuracy do we really need?” and “What price do we need to pay to accomplish our goals?” Their conclusion might surprise them. Beaver Mountain Ski Area, a family-owned operation in northern Utah that does not own a snow-depth system, sometimes probes trails with low snow coverage by hand. The ski area’s mountain operations control manager Travis Seeholzer said he sees the benefit of snow-depth management systems. 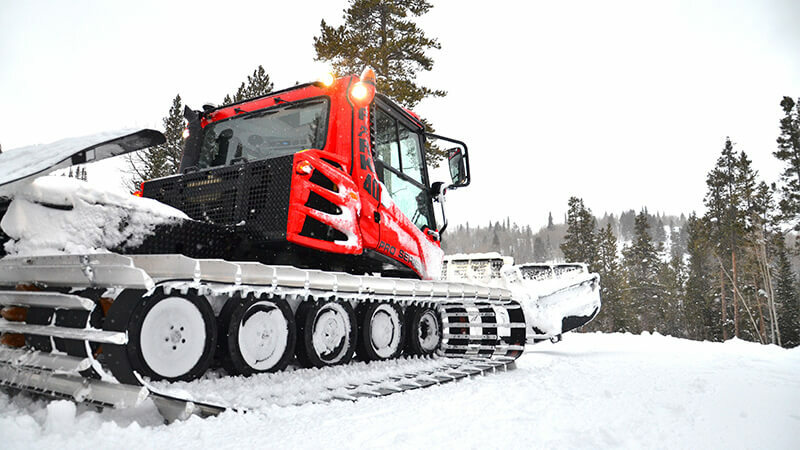 One thing resorts operators should consider when purchasing a snow-depth management system, Seeholzer said, is the simplicity of the platform. Whichever system a resort chooses, one thing is certain: The trend is undeniably toward more data – especially snow-depth data – in the ski industry. For more information about SnowGage, contact us here. Visit Juniper Systems online. Paul Kelley is the product manager for SnowGage, a snow-depth measurement system by Juniper Systems.